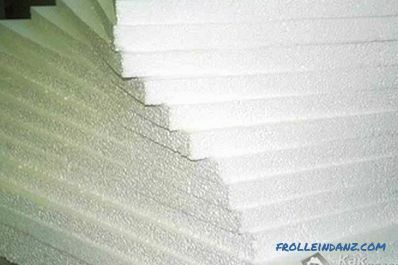 The most popular material for thermal insulation today is foam. It is easy to work with him, he warms the room well and does not allow heat to volatilize through the walls. 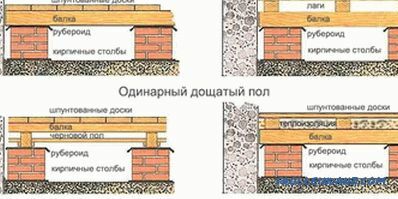 Most often it is used for insulating apartments in high-rise buildings of high-rise buildings, and for cladding the facade of private houses. Like all building materials, foam plastic has a number of advantages and disadvantages. Cheaper than other thermal insulation materials. It has excellent thermal conductivity. Unaffected by moisture and weather conditions. Can serve for many years. When burning, emits toxic smoke. It can be concluded that there are many more advantages. Therefore, so many people prefer this material to insulate their homes. 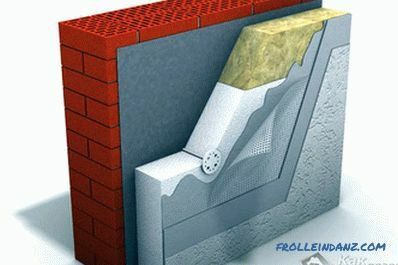 Make your wall insulation your own hands easy if you adhere to the correct sequence when installing and adhering to technology. 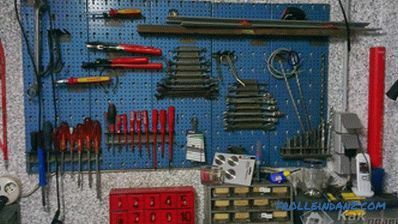 It is also important to correctly calculate the amount of material expended and to acquire a good tool. Before you start, you need clear up how much material is needed. To do this, simply measure the walls, which will be insulated. Based on these figures, it will be possible to calculate the number of sheets of foam. 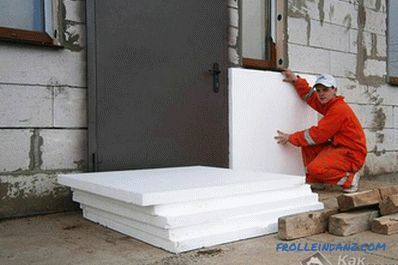 To insulate the walls of a residential building, foam plastic is usually used with a thickness of 3 - 4 centimeters. 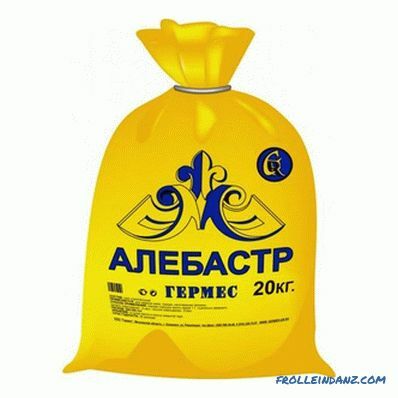 To insulate the roof using eight centimeter foam. Installation of the foam itself. Application of the finishing layer. Selected insulation: foam plastic, polystyrene foam. 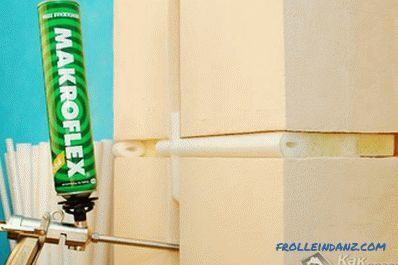 Glue for plates of polyfoam. 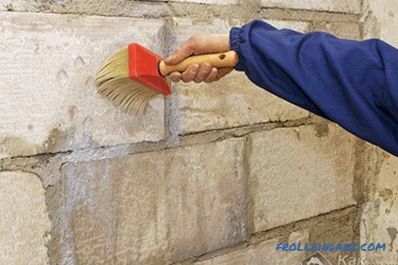 Before starting work on wall insulation, they must be carefully leveled and cleaned. Then you need to apply a primer coat with a special mixture intended for outdoor use. After the walls are completely dry, work can continue. In order for the first row of foam to be even, set the socle bar. It will also prevent the penetration of rodents and other pests into the layers of insulation. The profile needs to be chosen qualitative and strong, as the durability of the material used for warming depends on it. 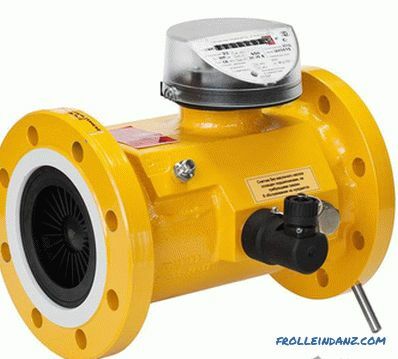 To keep the structure horizontally level, the profile position is checked using a level. Vertically stretched plumb lines - cords, which are installed at regular intervals. Polyfoam is installed on a special glue and fixed with pan-shaped dowels. 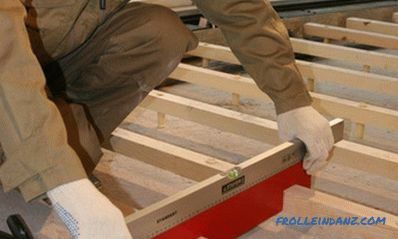 Glue is applied on the walls or on the foam plates using a notched trowel. This is necessary in order to evenly distribute the mixture over the entire surface. After a day, after the glue has completely dried, it is possible to fix the dowels, which should be positioned as follows - one in the center, the rest at the corners of the plate. For sealing seams You can use mounting foam, but if the gap is too large, it would be better to glue the insert from a piece of foam. for the gaps between the sheets - they should not be too large. When the foam is fixed glue and dowels, the seams are sealed and the gaps are removed, you need to plaster the insulation. 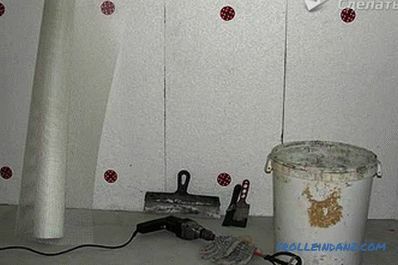 The surface of the foam is smooth, and in order to keep the plaster on it, it is necessary to glue a reinforcing mesh to it, on which the finishing can be applied. When the first layer of plaster dries, it needs to be cleaned with sandpaper or float. After that, you can apply the last layer of plaster, not exceeding 3 mm. Only after that the surface will be ready for painting. Warming of the walls with foam plastic does not take much time. This video shows the warming process, including the preparatory work.